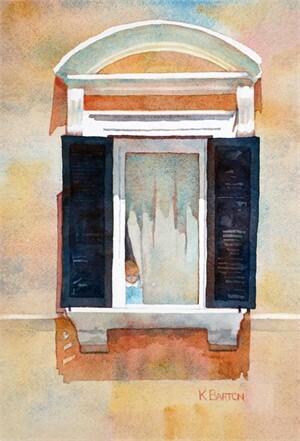 I find inspiration everywhere I travel as well as from the basement window of my studio. The effects of light, dark and color on old crooked streets, building architecture and interesting faces all intrigue me. Kirsten Barton was born and raised in Philadelphia. 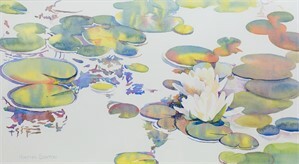 She dabbled in art as a child and young adult, taking occasional classes in drawing and painting. Later, in the interstices of a life spent raising two boys, one of whom was was autistic, she was able to devote more time to her art. 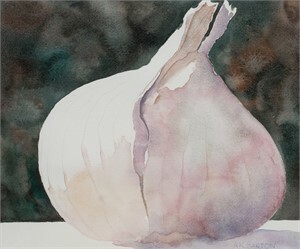 Kirsten began to focus on watercolor and acrylic painting. 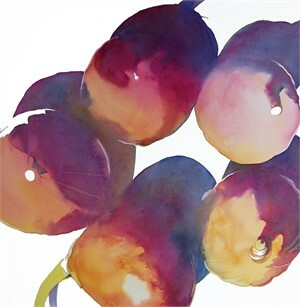 Kirsten is currently painting through several series, taking breaks to work on commissioned pieces. One such series is based on spiral staircases, a metaphor for the struggle to climb out of depression. 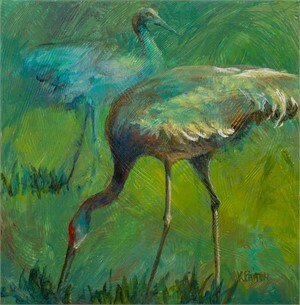 Another explores the majestic beauty and humorous awkwardness of sandhill cranes. 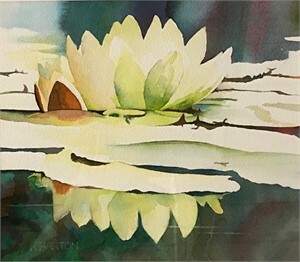 Another is a contemporary study of water lilies, with an emphasis on negative space. 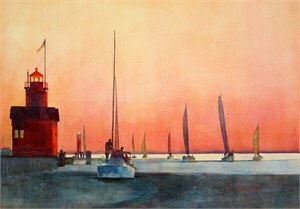 Barton lives with her family and her paints in Okemos, Michigan. 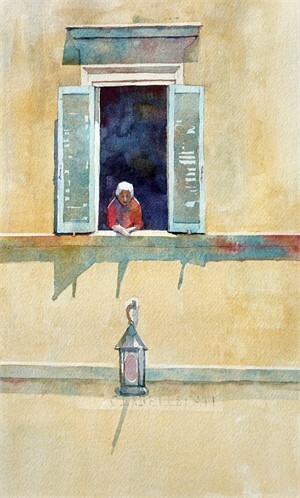 Artist Statement: I find inspiration everywhere I travel as well as from the basement window of my studio. The effects of light, dark and color on old crooked streets, building architecture and interesting faces all intrigue me. About: Kirsten Barton was born and raised in Philadelphia. She dabbled in art as a child and young adult, taking occasional classes in drawing and painting. Later, in the interstices of a life spent raising two boys, one of whom was was autistic, she was able to devote more time to her art. 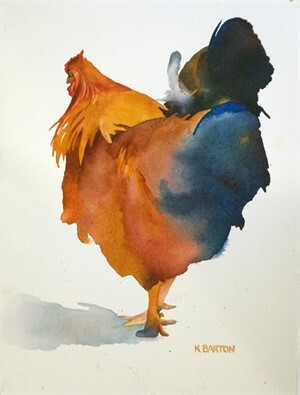 Kirsten began to focus on watercolor and acrylic painting. 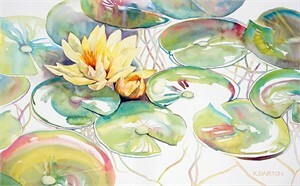 Kirsten is currently painting through several series, taking breaks to work on commissioned pieces. One such series is based on spiral staircases, a metaphor for the struggle to climb out of depression. 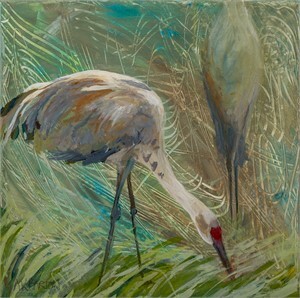 Another explores the majestic beauty and humorous awkwardness of sandhill cranes. 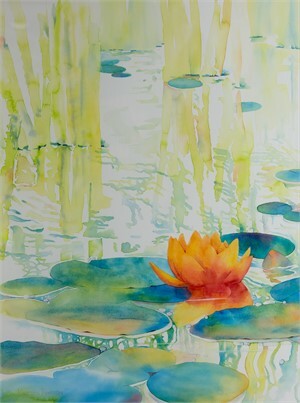 Another is a contemporary study of water lilies, with an emphasis on negative space. 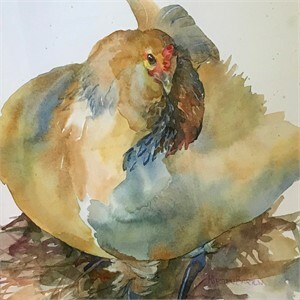 Barton lives with her family and her paints in Okemos, Michigan.